It was almost six this morning when I got up, feeling wide awake. I could hear the birds singing and the ducks quacking. 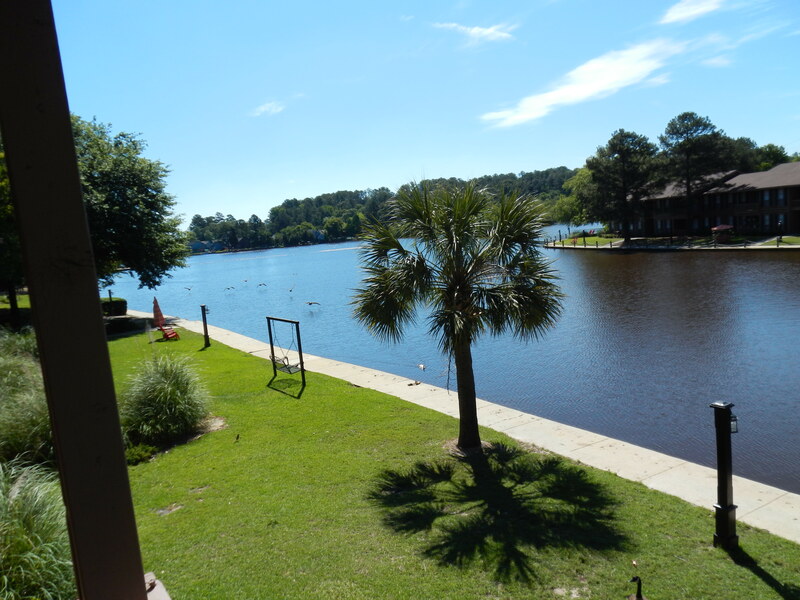 My sister’s apartment overlooks a lake from her balcony. The lake is within ten feet of her backdoor, literally. 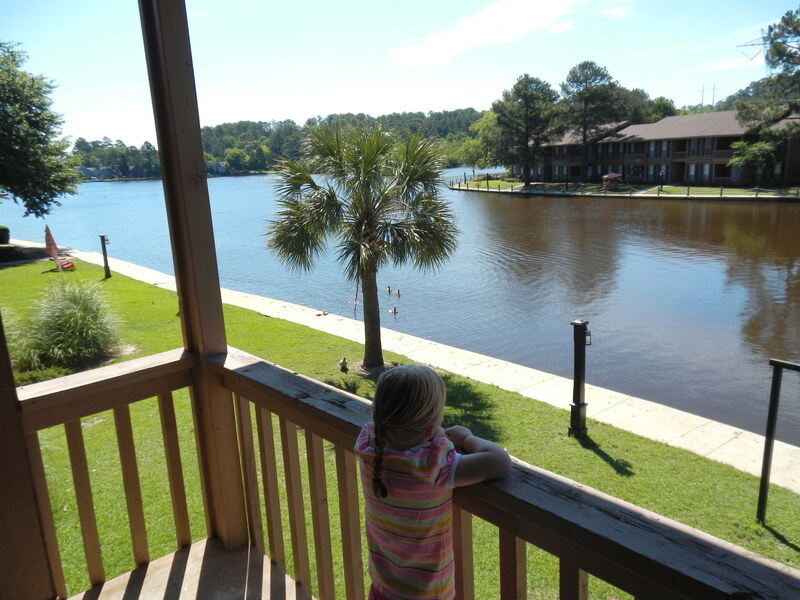 Also within a few feet from her balcony you can see about a dozen ducks, geese, and palmetto trees. 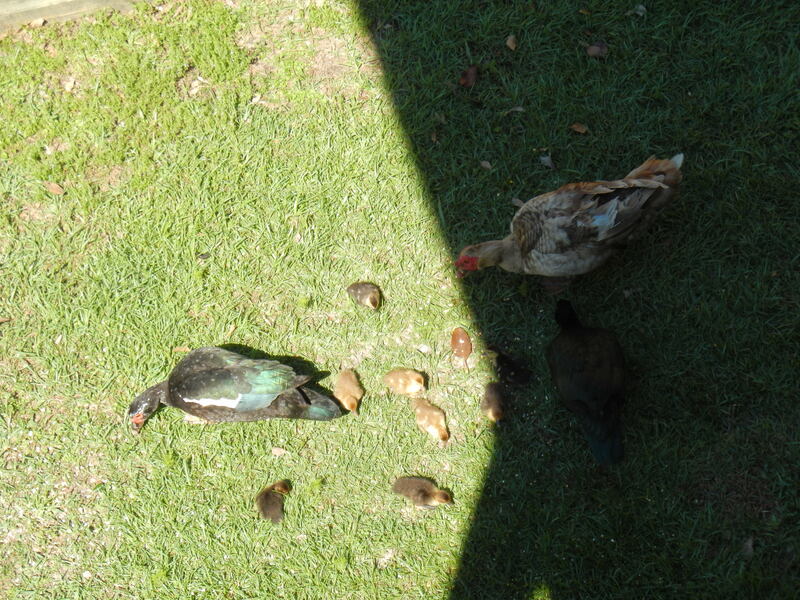 The ducks have been spoiled by my sister and her husband as they feed them. Yesterday my sister and her husband went shopping while I stayed here with my daughter. 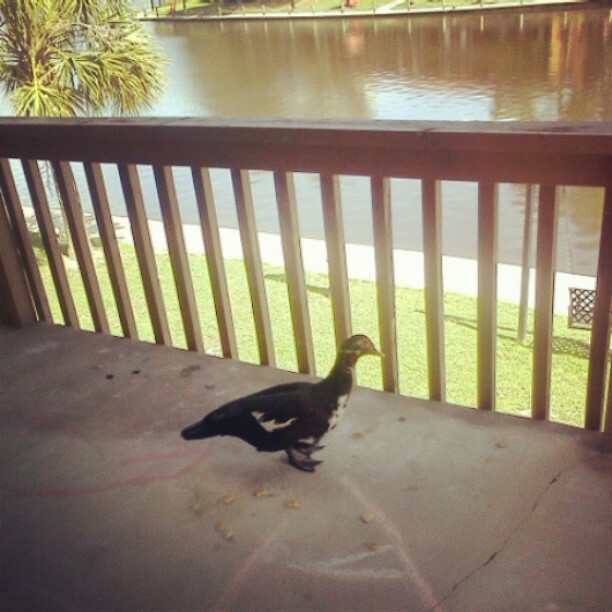 A duck flew onto the balcony, walked up to the door, and continued to stare inside. I opened the door and it started wagging it’s tail and chirping I had to call my sister to tell her that one of the ducks is waiting up here for her. She told me to feed it some bread until they came home with the duck feed. This morning my daughter, sister, and I went out to feed the ducks. You could hear the ducks and geese coming from far away as soon as we threw out the first handful of bird food. In no time we had over a dozen adult birds and about eight baby ducks. This entry was posted in Blog and tagged animals, birds, children, ducks, family, geese, Georgia, parents, siblings, toddlers on May 24, 2013 by JenniferNAdams.